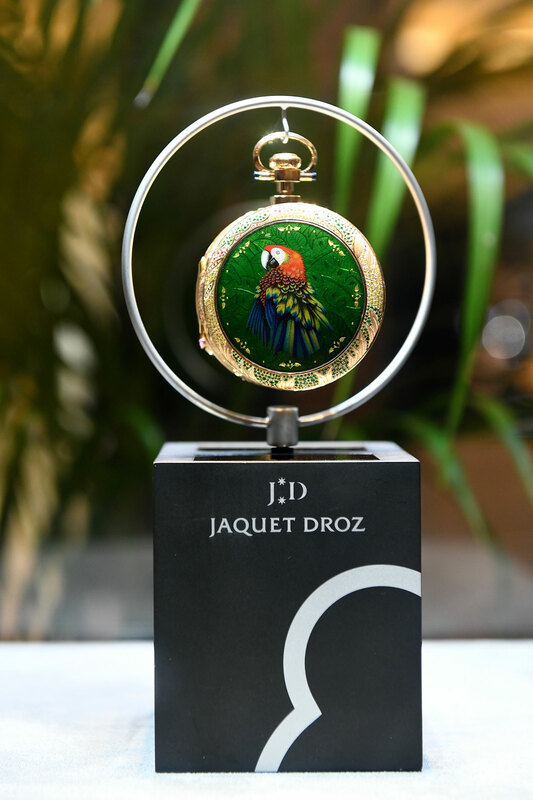 To mark its 280th anniversary, Jaquet Droz is staging “Story of the Unique”, a touring exhibition that is circling the world, having made its way through Europe and Asia, and now arrives in Singapore. “Story of the Unique” illustrates the wonderful diversity of the brand, from artisanal metiers d’art to automatons, and of course its wristwatches like the Grande Seconde. 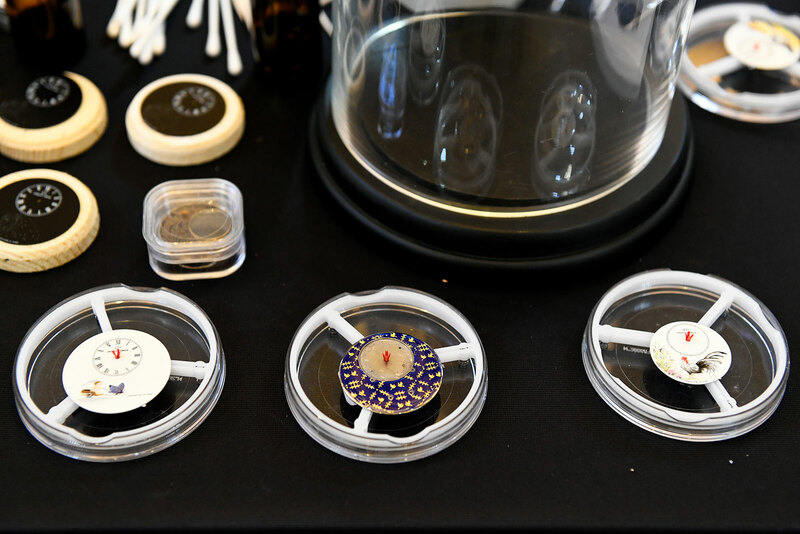 Taking place at the Marina Bay Sands casino complex, the star of the exhibition is the stupendously complex, one-of-a-kind Parrot Repeater Pocket Watch created for the anniversary. 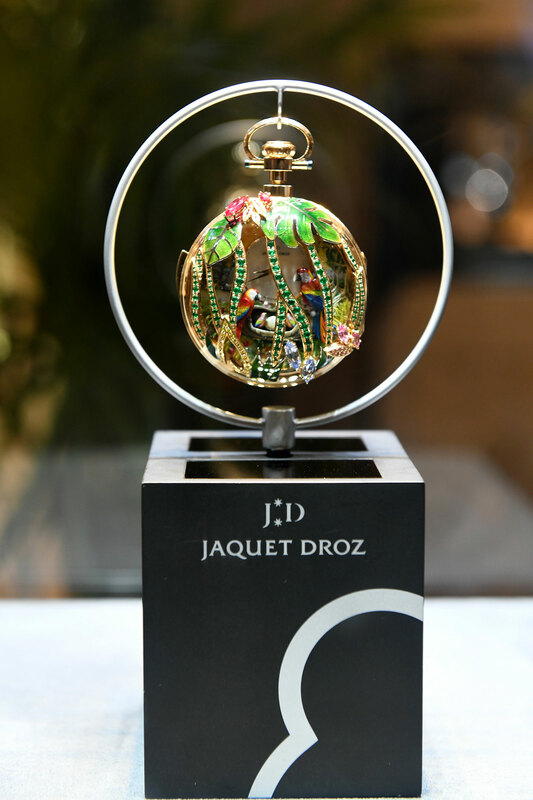 Three years in the making, the million-dollar masterpiece is a culmination of just about every decorative technique mastered by Jaquet Droz, including gem-setting, grand feu enamel, paillonne enamel, engraving, and miniature painting. Also on display is the Signing Machine, a nifty, pocket-sized automaton programmed to flawlessly replicate a written signature, accomplished by a mechanical arm that duplicates the motions of the writer’s hand. 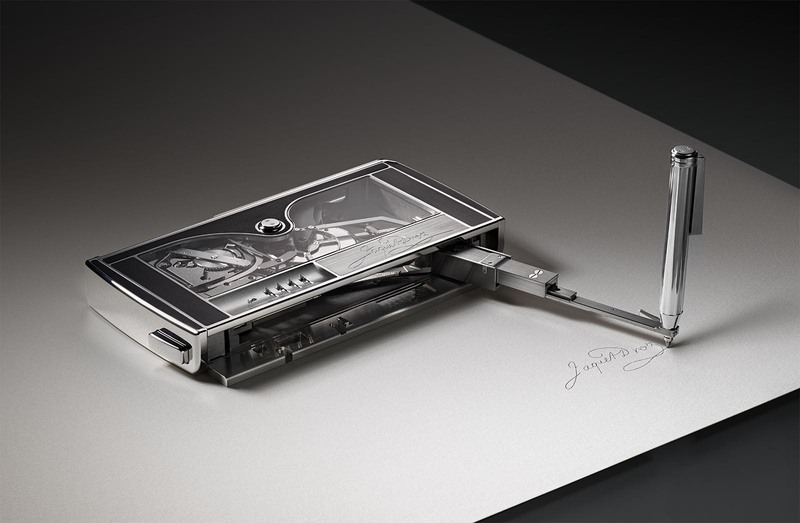 The result of four years of development, the Signing Machine is similar to its 18th century predecessor, The Writer, a humanoid automaton that could write out a preprogrammed sentence in a flowing, italic script. The exhibition will also showcase most of the brand’s 2018 collection, including the Grande Seconde Skelet-One, a somewhat avant-garde take on its signature timepiece, as well as the Grande Seconde Tribute, the brand’s first Grande Seconde in yellow gold. 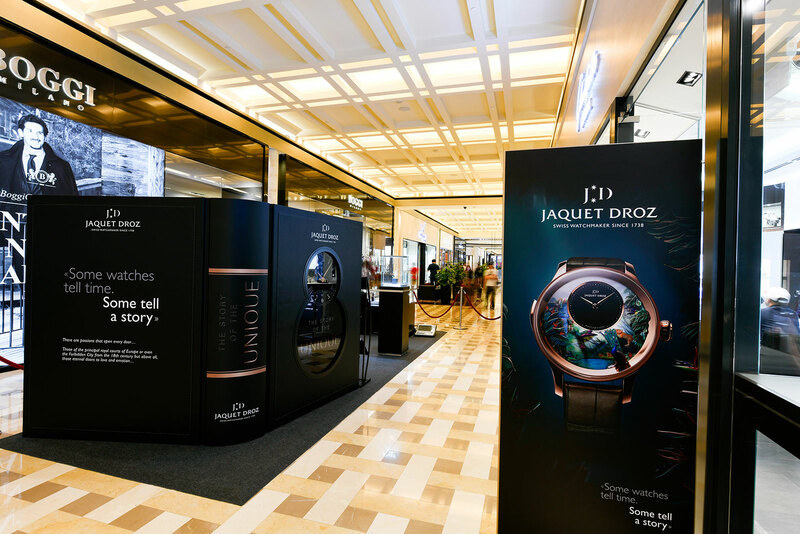 The Story of the Unique Exhibition takes place from September 28 to October 14 at the B2 Atrium of Marina Bay Sands, right in front of the Jaquet Droz boutique. It is open to the public daily from 10:30am to 11:00pm.